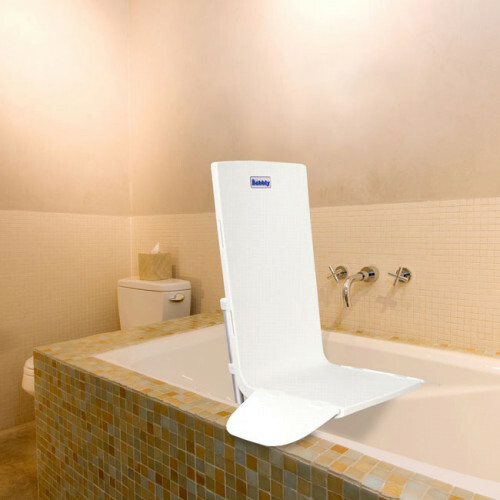 The AquaJoy Saver bath lift makes getting in and out of the bathtub safe, simple and worry-free. This fixed-back lift has a 350 lb. weight capacity and fits most style bathtubs. Non-reclining, sturdy one piece design maximizes legroom. Fully waterproof, floating battery hand control with easy to use convex and concave operating buttons. Easy release suction cups on base provides maximum stability in the tub. This model is very safe, will not lower unless there is sufficient power to raise the user back out of the tub. 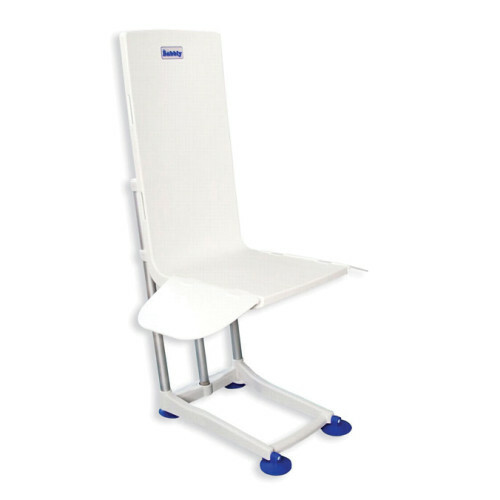 *Formerly known as the Bubbly Bath Lift made by Harmar. Seat Width with Flaps: 28.5"
Seat Width without Flaps 12.6"
Lifting Range: 2.7" to 18.3"